UFC 229 : KHABIB VS. MCGREGOR - - POST-FIGHT PRESS CONFERENCE FOLLOWING CHAOS IN VEGAS ! - Sports | Sports 24 | Sports News ! Home World UFC 229 : KHABIB VS. MCGREGOR - - POST-FIGHT PRESS CONFERENCE FOLLOWING CHAOS IN VEGAS ! 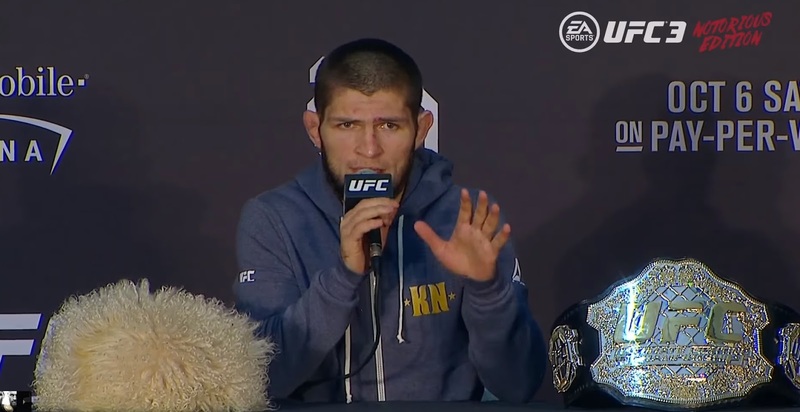 UFC 229 : KHABIB VS. MCGREGOR - - POST-FIGHT PRESS CONFERENCE FOLLOWING CHAOS IN VEGAS !